The 1st contender is Nesh Brosca Gornes who took up Hotel and Restaurant Management. She was an academic excellence awardee and now works as a sales clerk. The next contestant is Angelica Panganivhan who is an accounting graduate. She was a dean’s lister and is currently a Spanish bilingual call center agent. Last but not the least is Alztheiaj Wredz Querido who studied accountancy. She was a leadership awardee and is now working as an accountant. The hosts asked the 3 contestants to check their buzzers and were reminded to give 3 phrases before giving an answer. When the 1st question was asked, Alztheiaj gave the correct answer and got to advance for the 2nd round. Contestant’s no. 1 and 3 were left to compete for the remaining slot. 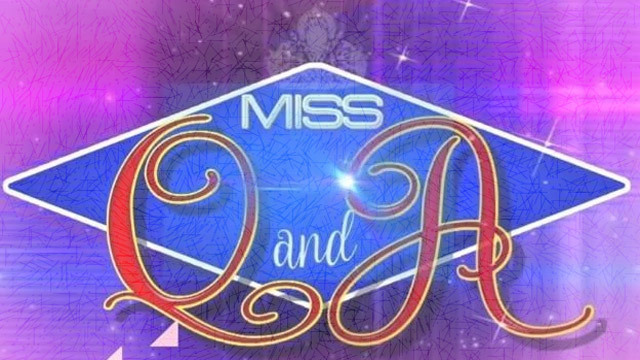 For the 2nd question, Angelica immediately gave the right answer and will also advance in the next round while Nesh is eliminated. Alztheiaj is called and her question says; what is more annoying? A snatcher got your belongings or he return to get the charger? She answered that it is more irritating if he will steal her things especially her cell phone because her contacts and pictures were saved their which are important to her. Angelica is the next one to be called and her question says; what is more infuriating? A snatcher grab your stuff or he asked for your permission before getting it? She replied that is distressing if the stealer will first asked for her permission because it will mean that you gave him an opportunity. Based on their answers, contestant no. 3 will go head to head with the reigning queen. Alztheiaj and Tonette are going to answer the question that says; what is your parent’s advice that you regret not obeying it? The daily winner said that she feels bitter that she did not studied hard when she was in college because she was a dean’s lister but it was retracted when she focused more in her dancing and fell in love. The defending winner also said the same because she was stubborn as a youngster but now, she is doing everything to retrieve to her parents. After a deliberation, Tonette is now a part of semi-finals and now earned a total of Php 60000.